You'll be £10.00 closer to your next £10.00 credit when you purchase The Forts and Fortifications of Europe 1815-1945: The Neutral States. What's this? As in Volume 1 the authors have packed a mass of facts, plans and illustrations into the book so that a very full picture is built up...A lot of hard work has gone into this study and it is to be thoroughly recommended. Quite fascinating ... a mine of information for modellers as well. 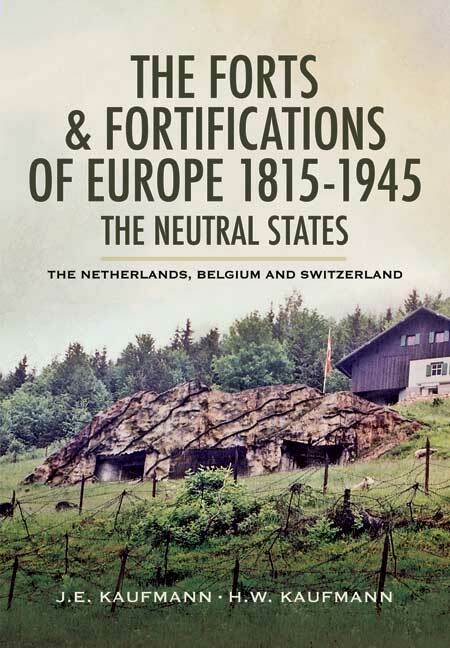 This book is another volume in an excellent series that uncovers the history of these fortifications, in this volume looking carefully at the fortifications of three neutral countries during the 19th and 20th Centuries. It is very well illustrated throughout and its authors once more present an authoritative history that is unlikely to be equalled and never to be beaten by any other account of the subjects. The narratives are illustrated by numerous plans and drawings. Like its companion volume, this is an excellent resource for those wishing a general overview of the fortification of the region. A well researched and interesting book with many photographs, maps and illustrations. I recommend all of them to everyone with an interest in the topics. Further, these latest two make wonderful additions, both in terms of their large chronologic coverage and their specific topic nations. The Central States volume is of interest to me particularly in regard to its detailed discussion of the Czechoslovakian fortifications of the inter-war period (the 'Benes Line'), along with its presentation on the defence construction efforts of Axis Hungary in 1944. What jumped out at me from the Neutral States volume was, of course, the in-depth treatment given to the Swiss. I’m sure I’ll make good use of all those data in some future war-game designs.